You will have the entire place to yourselves. The apartment accommodates up to 7 people comfortably and furnished with everything you would need in a modest city home. There is a fully loaded kitchen with everything you would need for a family meal including Fridge, Microwave, pots, pans, cutlery, rice cooker e.t.c. **You will also get FREE WiFi internet with a mobile device to take out with you during your stay. **about 10 minutes off the world famous Omotesando fashion alley. This is Japan's number one for high-end fashion (Tokyo's "Fifth Avenue" fashion street). ***you can walk to Shibuya city centre (12 mins), Shinjuku city centre (15 mins) Yoyogi park and many famous historical places nearby including the Meiji Jingu Shrine and the many trend setting shopping complexes such as LaForet Harajuku, Oriental Bazaar, Omotesando Hills or KiddyLand. 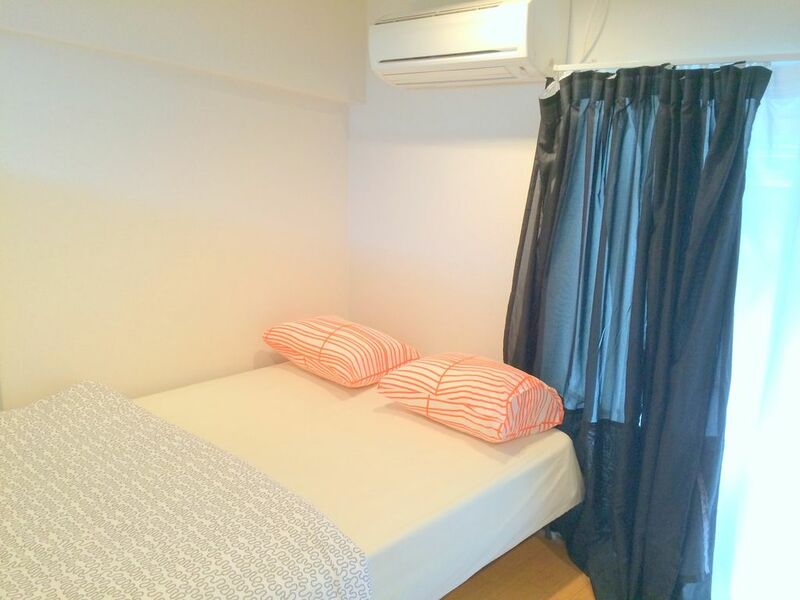 5 minutes walk to Nogizaka station: 5 to 7 minutes walk to Roppongi station. 24 hour taxis up and down the roads nearby. ****Shibuya is a great urban spectacle. One of the more recognisable images of Tokyo would have to be the incredibly busy intersection outside Shibya Station. This huge four way crossroad is the gateway to Center Gai; the shopping district of Shibya. The intersection has been used extensively in advertising, and more recently films like Lost in Translation and Fast and the Furious, Tokyo Drift. All taking advantage of the amazing spectacle of the intersection and massive neon and video screen building facades. ***Harajuku is the origins of youth culture where stylish items are readily made available. Jam-packed with stores selling assorted goods, accessories, and clothes, Takeshita-dori street is constantly crowded with shoppers. Harajuku is the district where crepes, pancakes, and many other trends started, and a line can always be seen outside the many popular shops. ***Omotesando is about fashion, history and relaxation. ***Meanwhile, the quiet stillness emanating from the Meiji Jingu Shrine can make one forget about the hustle and bustle of the city. Just a short walk away is the more sophisticated area of Omotesando. Artistic fashion buildings and galleries line up along the zelkova tree-lined street, where you can enjoy shopping, gourmet food and art.